Pip and John ran Kwaidan at the Phenomenon roleplaying convention, Queen’s Birthday long weekend, 6-9 June 2008. Phenomenon is held at Daramalan College, Dickson, in sunny Canberra. The greatest journey is the one that takes you home. Tokugawa Japan. Shimotsuki, the month of frosts. Koyasan, the sacred mountain. Five pilgrims, five secrets, one impossible destination. An eternal tale of ghosts and lovers, shared with simplicity and restraint. Encounters with obake and yurei, blessings of the Pure Land, mysteries of the suffering heart. A systemless kwaidan or weird tale for five storytellers, presented by Philippa & John Hughes. Tea will be served for the comfort of weary seekers. Genre/setting: Ghost story / mystery / romance set in late medieval Japan. Rating: MA (explicit sexuality, adult concepts, mild horror, wasabe). Rules knowledge: 0. Systemless. Simple storytelling games will feature as part of the module. A former gentlewoman, now an impoverished Buddhist nun (bikuni), Tomoe seeks her salvation walking the pilgrim trails to the many temples of the Sacred Mountain. An itinerant merchant with a ready eye for opportunities in both trade and women, Koyosuke deals in paper and ‘grass pamphlets’ (cheap books) between Osaka and Mount Koya. He is a worshipper (of sorts) of Inari the fox god. 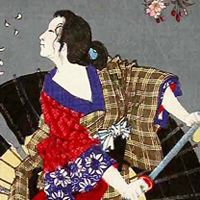 A peasant woman, a servant and a thief, Otaki has been touched by terrible powers since birth. She does what she must to survive, and prays to the kami of the land. 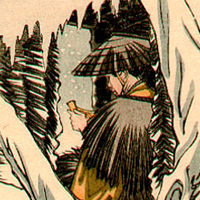 Once a destitute ronin, tortured by loyalty to his disbanded clan and the loss of his beloved lord, Shiki now seeks enlightenment as a wandering zen monk (komuso), a protector of pilgrims. He is returning to the lands of his birth after years of exile. 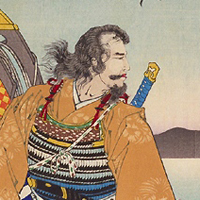 A solitary wild priest (yamabushi) and mountain guide, it is said that Kumano defends the Sacred Mountain and its temples from demons and dark powers. 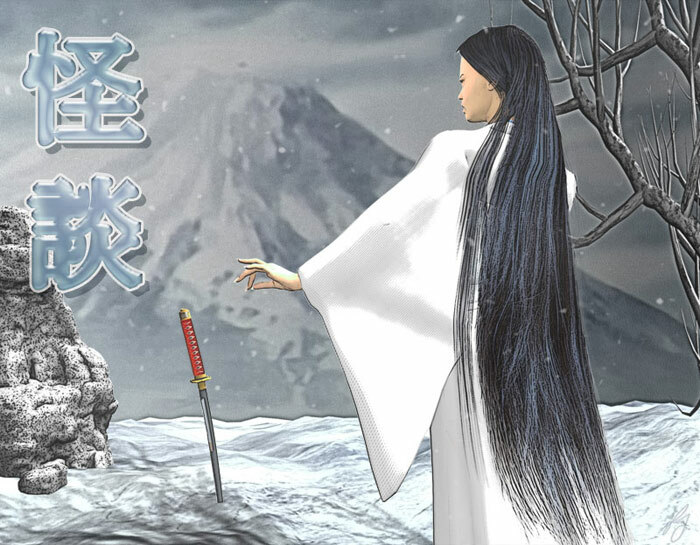 ‘Kwaidan is a storytelling module: characters may have secrets, but players do not. 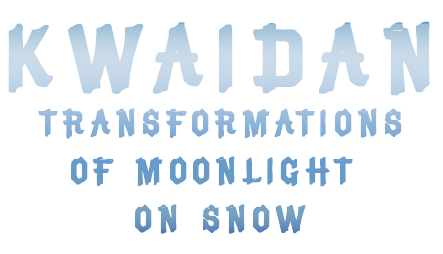 Also, Kwaidan is a module that rewards a little prior preparation. 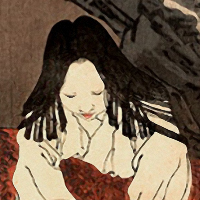 All intending players should read Turning Japanese: A Gamer’s Guide to Bluffing Your Way Through a Japanese Ghost Story. Don’t worry about all the background names and details: they’re there for colour, but do think about the suggestions for playing the game offered. Then make them your own. 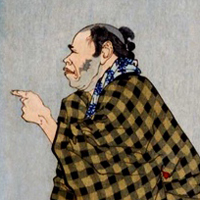 Character sketches are adapted from the art of Tsukioka Yoshitoshi . Title art, ‘Woman of the Snow’, is by John Hughes.